Dance Africa Dance: What I Learned. A seven day dance festival in Bamako in Mali. When I first heard of it I had to google map it. Now after spending less than a week there the place I found is one of colour, smiles and flavour. It’s the most important dance festival in Africa with hundreds of dancers from all over the continent performing for an international (but mostly French speaking) audience. This is what I learned. -Silence – there’s no such thing. It was once a radical move to dance without music – now it’s nothing new. At Dance Africa Dance many of the dances were performed without music – but in Bamako the distant sound of music can always be heard. -Wigs – men like them apparently. In at least 5 of the dances I saw, male dancers performed in drag. A secret fetish? Priscilla Queen of the Desert it was not – but fabulous and fun yes. -Ferocity is the feeling of the moment. We’ve seen dances of love and dances of seduction many times – the theme here though was fierce and fighting. Men and women battling each other through dance, men and men fighting, and individuals angrily writhing and wriggling alone on stage. It's all about attitude. -Don’t let there be light. This year it was all about darkness and shadows. For the audience it was striking and ambient. For our cameraman – it was a nightmare! As I rushed from performance to performance (just in case they started on time) a local leaned into our car and said ‘Take it easy, life is one, it is not two.’ I liked it so I thought I’d share. Watch our special show from the festival here. Comments or opinions expressed on this blog are those of the individual contributors only, and do not necessarily represent the views of FRANCE 24. The content on this blog is provided on an "as-is" basis. FRANCE 24 is not liable for any damages whatsoever arising out of the content or use of this blog. “The understanding throughout Silicon Vly cheap sunglasses can be if anyone costume effectively, anyone couldn’t maybe always be sensible, as well as you’re throughout S. 3rd there’s r. nevertheless couldn’t maybe manage a firm, ” sunglasses sale explained Leila Janah, 30, a new technological small business owner whom labored throughout The big apple ahead of transferring on the These kinds of Place. sunglasses outlet She gets satisfied with a closet involving designed Zara blazers, man made fibre scarves the girl tends to buy throughout Asia along with high necklaces the girl learned via cheap designer sunglasses your ex nanna. http://www.bestsunglassescheap.org/. Soon after above a couple of years of Windows 8 advancement, Microsoft Windows 8 company unveiled the new Place of Office 2010 , a better and user friendly version of Microsoft Office 2010 , that has all kinds of mixing new methods for Download Office 2010 cooperation, and an online ability Office 2010 Download in contrast to whatever often used in advance of. Buckling, storage, Microsoft Office 2010 Download visual presentation, surplus of e mail storage, powerful information understanding, creating successful suggestions with quite good quality of visual appeal with improved software are your favorite attributes that Microsoft Office 2011 has offered you with. Office 2010 Key compared to other peoples of several location manufactured swifter and controllable using the evolution of Microsoft office tools. The newest Microsoft Office Professional Plus 2007 program incorporates the improved popular Windows Office 2010 features of Concept, Succeed, Cheap Microsoft Office , Take on life, Writer, FrontPage and Power point. Outlook on life is even designed more Windows 7 Download Purchase suave and a lot more curbing featuring a Sociable Connection aspect for purchase microsoft office 2010 , LinkedIn or use the most popular Myspace. 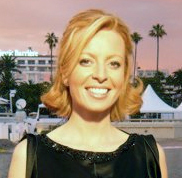 France 24’s Culture Editor Eve Jackson is an award winning journalist specialising in film, music, literature, theatre, art and everything in between in the world of culture. She’s reported from all over the world but in this blog she gives you a glimpse of what she sees here in the city of light – on and off the radar in Paris. Warning - This article contains explicit images!!! Larry Clark - unapologetic, unorthodox, and now uncensored. Draught beer, porta-loos and mini-skirts. This is Shakespeare with a Twist. Billet: "The King of the Cartoon." Billet: Dance Africa Dance: What I Learned.